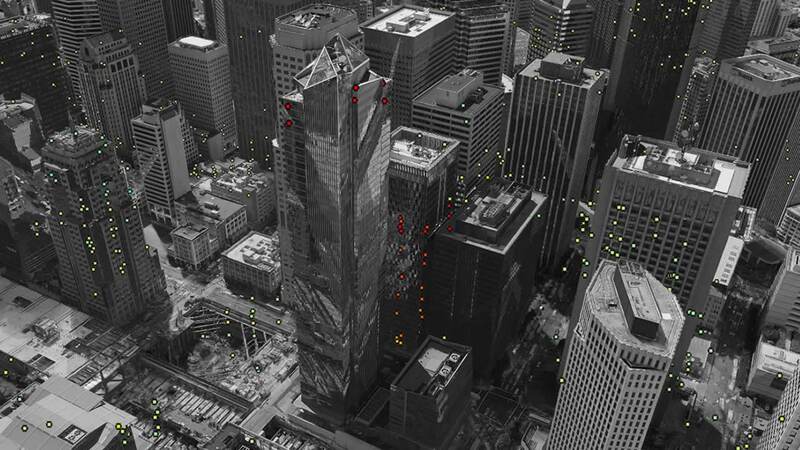 SAN FRANCISCO (KGO) -- The European Space Agency released photos that show San Francisco's Millennium Tower sinking from space. The 58-story building has sunk 16 inches since it opened in 2009. Photos show that building with red dots, which represent the tilt. The satellite data shows the tower sunk 1.6 to 1.8 inches over a recent one-year period. Two homeowners and the city have filed lawsuits claiming the developer knew the building was sinking.